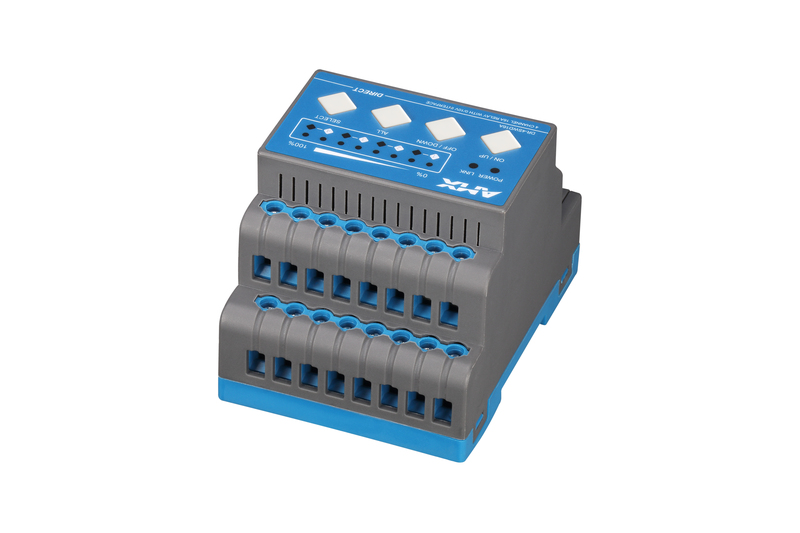 DR-4SWD16A DIN-rail mountable relay provides 4 channels of independent relay switching signal for 3520W lighting fixtures and 4 channels of 0-10V dimming signal for dimming driver of fluorescent lamps or LEDs. 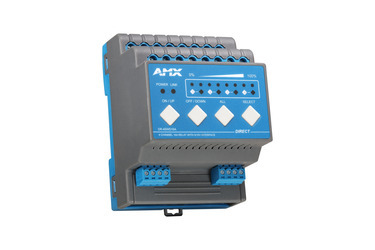 4 channels of 16A relay switching signal and 4 channels of 1-10V dimming signal. 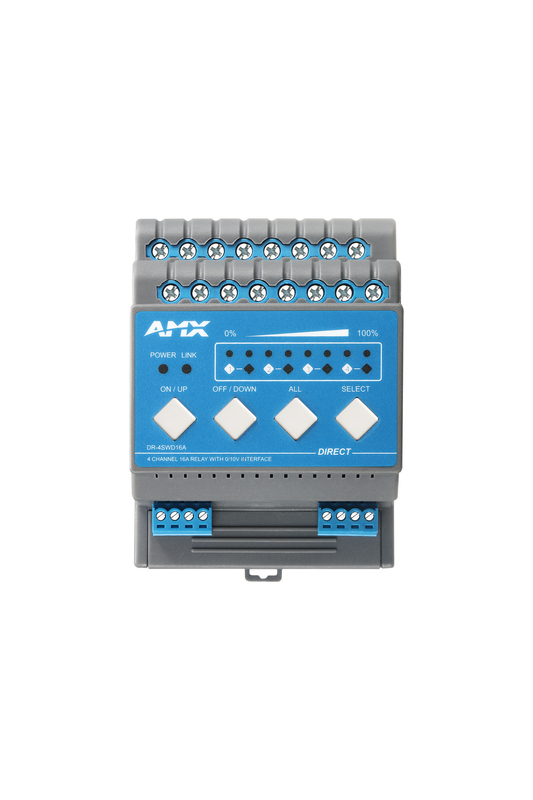 Configurable initial value of each channel (relay and dimming). Physical control buttons for manual operation in case of networking malfunctions. 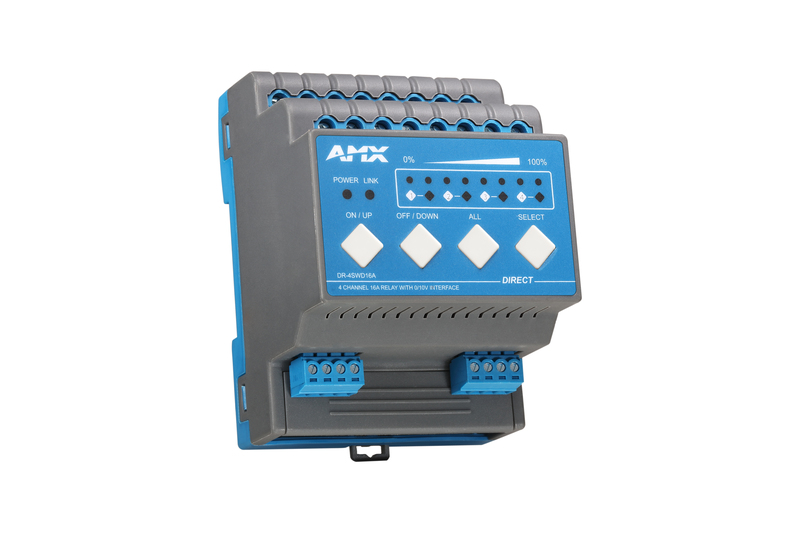 ±2 kV ESD protection to protect dimming port from short circuit and overcurrent. 3600 levels of dimming accuracy, 0%-100% dimming. Dimming curves can be set based on lamps to achieve true linear dimming.